I know, I know!! It is ridiculous to be talking about Christmas this early in the year. I am sure you will NOT want to be hearing about xmas gift buying etc. just at the moment. But because we want to be able to bring you so many great resources and guides for Christmas this year… well I’m afraid we are starting early! 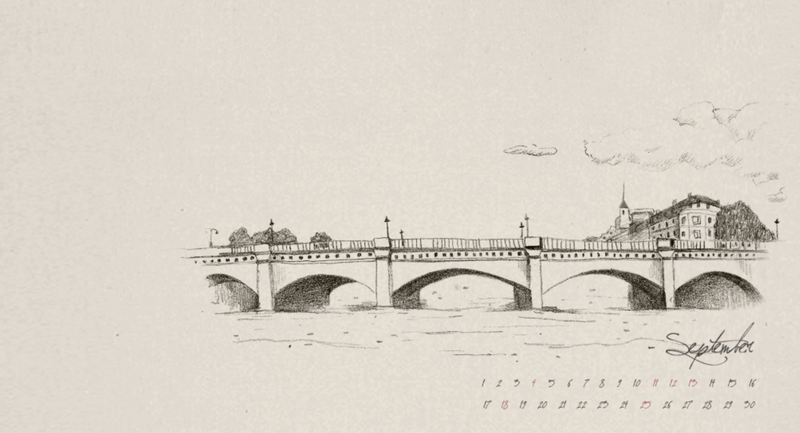 There are now 89 days left until Christmas… and over the next couple of months we are planning a series of posts that we hope could help make some of our Christmas gift buying and organising a little bit easier. First off, we want to start with general tips on Christmas Gift Planning, like making up a master gift list, setting your budget etc. These guides will feature gifts from The Paper Package (after all, they are the only ones we know much about!) but also homemade & handmade gift ideas and (where we can find the information) lists of the “most popular” gifts for each category. and anything else that comes up in the meantime! If you’re like most people you might suffer a little bit of stress around choosing gifts… stress that comes from not knowing whether the recipient of your gift is going to love what you’ve got them, or hate it and pass it on to the next unlucky recipient as soon as possible. Their products are original and exclusive. In fact many of them are limited editions. This means they are not the kind of thing you will find in every stationery or gift shop throughout the country, let alone at the big chain stores. It’s really exciting to open a gift and find something lovely that you haven’t seen before. 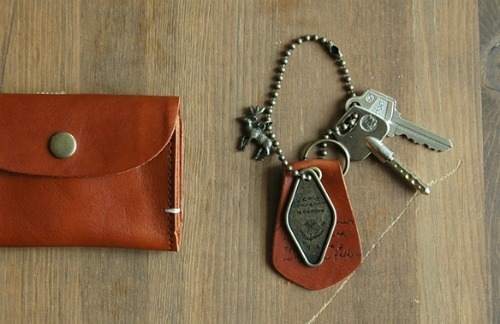 They are practical as well as beautiful. Not everybody gets obsessive over stationery (although many people do! 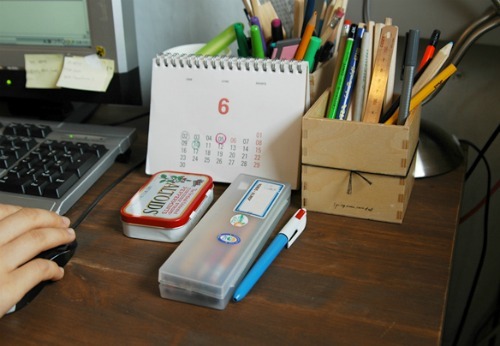 ), but it is something that most of us use at work or at home… memo pads, notebooks, key rings, pencil cases, journals etc. 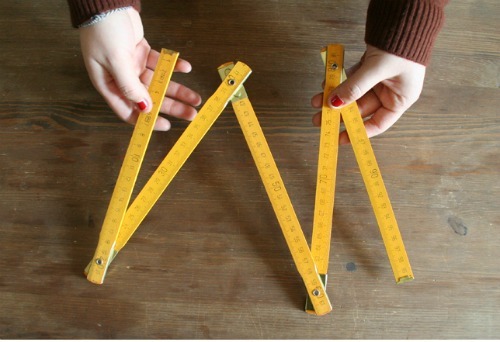 etc… even expandable rulers! They are environmentally friendly, using recycled products and soy-based inks along with quality, natural materials such as linen, leather, wood and metal. So if this issue is important to your gift recipient or yourself, you can be reassured that this manufacturer is environmentally aware. They really have an inherent warmth and charm all of their own. 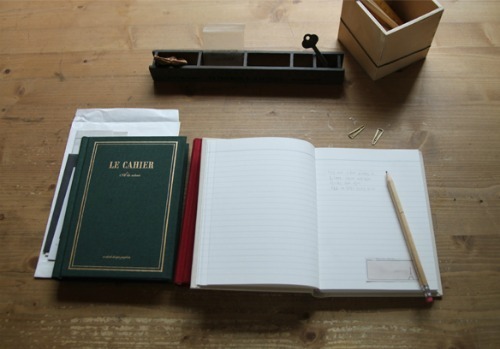 Their journals are reminiscent of hardcover books your parents or grandparents would have read, while the travel/postage imagery, french wording and inscriptions on many of the items are quirky and interesting. They perfectly suit the particular style of gift wrapping and presentation that we use at The Paper Package. 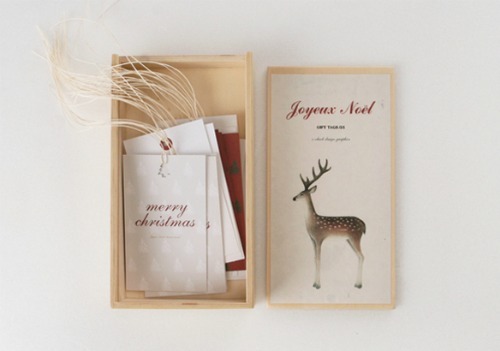 Simple wrapping papers, natural twine, vintage motifs etc. So, now we have convinced you of how great these products are, you might like to check out the O-Check Design Graphics gift ideas we currently have available at The Paper Package. 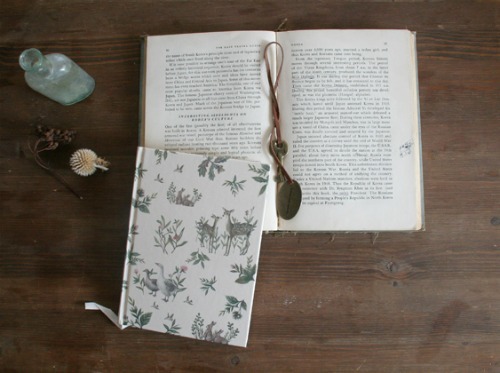 This is an elegant book bound notebook with 144 lined pages – perfect for someone to fill the bookcase with stories of their own! 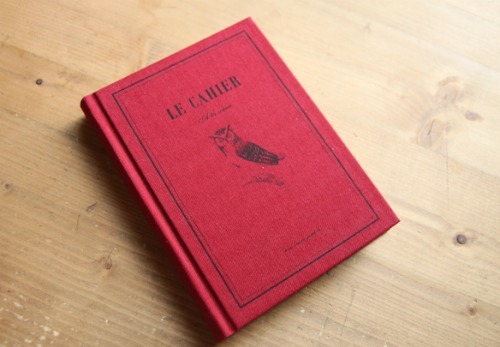 Has a fabric cover with a lovely vintage owl silk screen print. 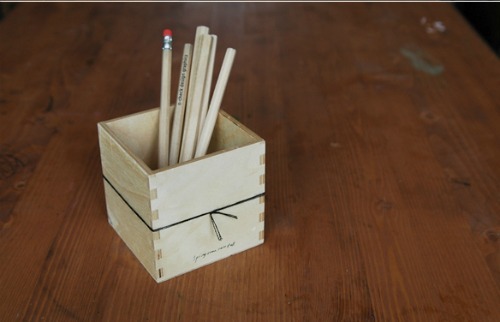 This stylish wood product will help organise your office or study so that you can conveniently find all of your pens and pencils! 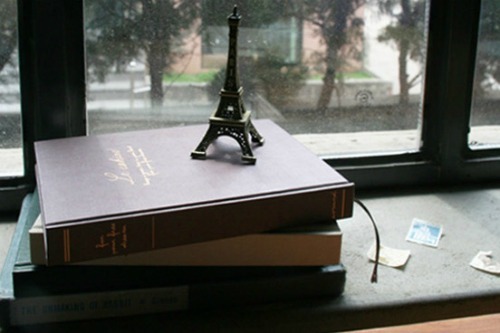 The simple, clean design complements any desk arrangement, so it also makes a flexible gift idea. 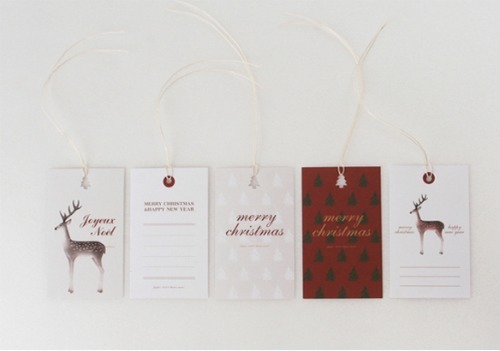 The Noel Tag set is a beautifully packaged set of 25 Christmas themed gift tags. 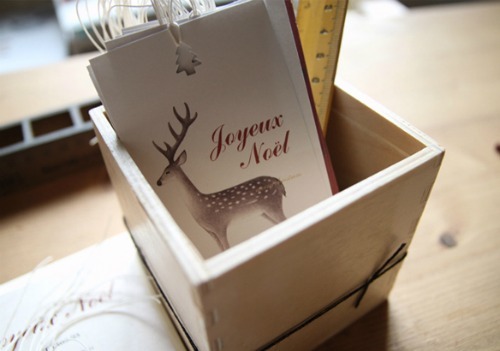 The set comes in an originally designed wood gift box and has 25 tags in total – 5 each of 5 different designs. Each tag is 6 x 10cm and has an endearing image and sentiment. If you would like us to let you know when any of these products become available, or would like any further information regarding any of our gift boxes or items please don’t hesitate to contact us. P.S. O-Check’s signature tagline is Spring Come, Rain Fall. How perfect for New Zealand in September! WHAT MAKES A GREAT BABY GIFT? You don’t want to give the same gift as everybody else. It will be a disappointment for both you and the person you are giving the gift to. Obviously you won’t know what everybody else will be purchasing for the new baby, but try to keep in mind how popular the item is and whether the recipients are either likely to get it from other people or have it already. It’s also important to take into consideration the circumstances of the family. With some families or expectant parents having a new baby is going to be a financial strain. In these cases it is probably fair to say that the more useful and practical the gift the better. There is also the time factor to take into account… even families that aren’t financially-strapped WILL be time-strapped. So while that vintage lace baby outfit might look gorgeous, if it needs special washing it will either become a mess pretty quickly or will never be used at all. As with any other gift choice we really believe that it is “the thought that counts.” Gifts should be given and received in the spirit in which they were intended. So if you keep in the front of your mind the person you’re giving the gift to, and the circumstances you’re giving it in, you are sure to choose something appropriate that will be gratefully received. Basically here we are talking nappies. A lot of gift guides on the internet seem to think that disposable nappies are the be-all and end-all of baby gifts – because they are so practical and will definitely be used. Personally I’m not so sure… it feels a bit like giving someone a sack of potatoes instead of a box of chocolates. Sure it might be more practical – but where’s the fun? We say you can do better (and don’t get me started on those “nappy cake” things – ugh). They also sell a great range of books for babies and children, and they do e-gift vouchers for when you’ve left it all a bit late. Handy Tip: If you do decide to give a book, it’s an especially good idea to include an exchange card whenever possible. 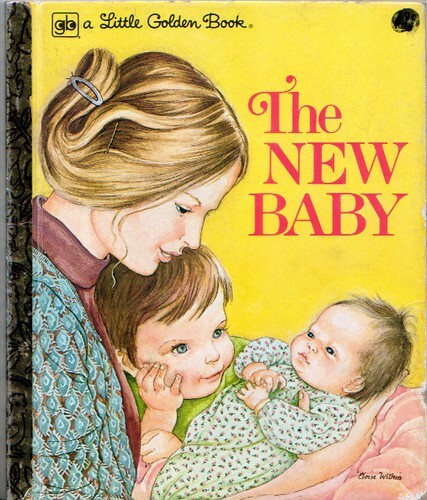 It’s very easy for new parents to end up with more than one copy of the same book. For genuinely handmade NZ toys you could take a look at www.mummade.co.nz or www.felt.co.nz. Both of these websites stock lovely, original handmade products, which are great for the “uniqueness” factor. Clothing for the new baby is a traditional and popular gift idea. It’s usually recommended that you don’t buy the newborn size – but go for something a bit bigger that might last a bit longer. In this case you need to remember to think seasonally as well (ie. if buying the 6 month size of something, think about what the season will be in 6 months or so). Filled with toys, baby products, pampering treats for mum and yummy goodies to share. If you are looking for a gift specifically for the first time dad a “new baby owners manual” could be fun and useful. 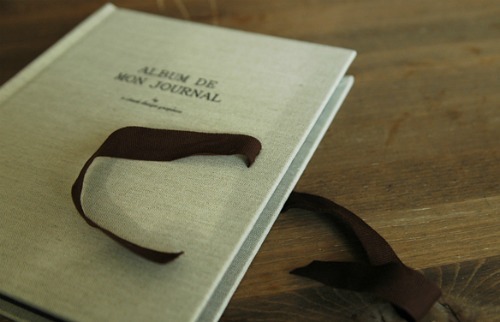 Like this stylish Moleskine Baby Journal. This is a really unique, useful and practical gift for new parents. It would also be a good activity for a baby shower because it has to be done before the baby is born obviously! Then just sit back, let the mum do all the hard work and see who was the best psychic. It will be so much fun to read over the predictions as the years roll on! So… that’s it for our tips, hints and ideas for baby gifts. 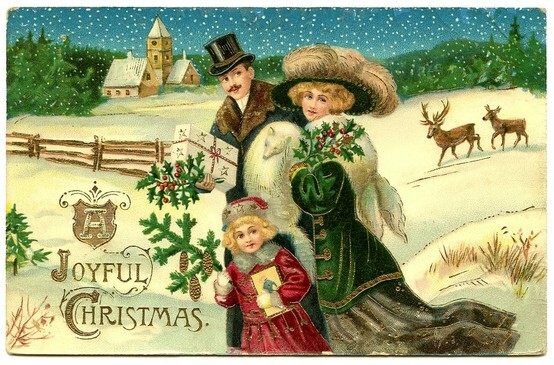 Of course we haven’t mentioned it because we’re officially opposed to gift cards, but gift (or at the very least) exchange cards are a good idea if you are really not sure what the new parents like or need. Most of the stores mentioned above do gift vouchers as do many other places – just remember to gift wrap it beautifully to make it seem special!